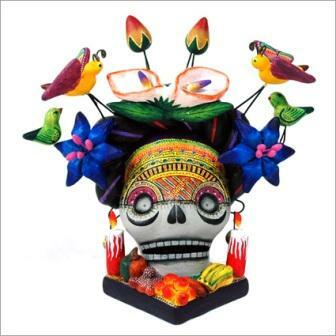 4"L x 6"W x 6"H This ceramic skull altar is an exquisitely detailed piece created by fine artisans. Each piece is hand-painted, so colors and patterns may vary slightly. We have sold out of this item and our supplier is now out of business. If we are able to acquire more of this item we will reactivate it.